The third chapter in the hit animated franchise is now fully detailed. 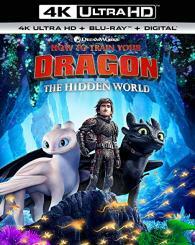 As previously reported, Universal Studios and DreamWorks says How to Train Your Dragon: The Hidden World will be available on 4K Ultra HD Blu-ray and Blu-ray, and now the official date has been set for May 21. The movie will also be available via digital download on April 30 (it used to be May 7). o Bilby – Directed by Liron Topaz, Pierre Perifel and JP Sans; produced by Jeff Hermann and Kelly Cooney Cilella. Threatened daily by the deadly residents and harsh environment of Australia’s Outback, a lonesome Bilby finds himself an unwitting protector, and unexpected friend, to a helpless (and quite adorable) baby bird. o Bird Karma – Directed by William Salazar and produced by Jeff Hermann, the beautifully artistic 2D short film Bird Karma tells a delightfully lyrical and fully unexpected tale of a long-legged bird’s journey of blissful joy, inescapable greed and the accidental discovery of the consequences when too much is not enough. • How to Voice Your Viking – Go behind the scenes with the cast as they record the Viking voices of HOW TO TRAIN YOUR DRAGON: THE HIDDEN WORLD. • Creating an Epic Dragon Tale – Discover what filmmakers learned while crafting this epic dragon trilogy. • How I Learned from Dragons – The diverse cast of characters reveal why they think the dragon trilogy is so special. • Brave Wilderness Presents: Nature + Dragons = Awesome – Join Coyote Peterson, host of Brave Wilderness, as he explores what it takes to make the dragon’s characters come to life. • The Dragon Sheep Chronicles – Protecting sheep from the dragons of Berk is no easy task but Hiccup has a plan. • A Deck of Dragons – Observe four new dragons as Fishlegs unveils his original deck of dragon trading cards. • Growing Up with Dragons – After years of being with these characters, hear the lasting effects of the dragon trilogy from the filmmaker’s perspective. 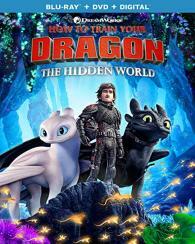 • The Evolving Character Design of Dragons – Cast and crew reveal what it was like to evolve not only the characters of HOW TO TRAIN YOUR DRAGON: THE HIDDEN WORLD, but themselves as well. • Drawing Dragons – Get a glimpse of what goes in to designing a DreamWorks dragon. • Epic Villain – A different kind of villain, Grimmel brings great challenges to the village of Berk. Go behind the scenes as filmmakers breakdown this epic character. • Astrid’s Whole Dragon Trilogy in 60 Seconds – Hold on tight as Astrid sums up the whole dragon trilogy in a legendary 60 seconds. • Welcome to New Berk – With Hiccup as your guide, get a firsthand look at the updated Viking village of New Berk. 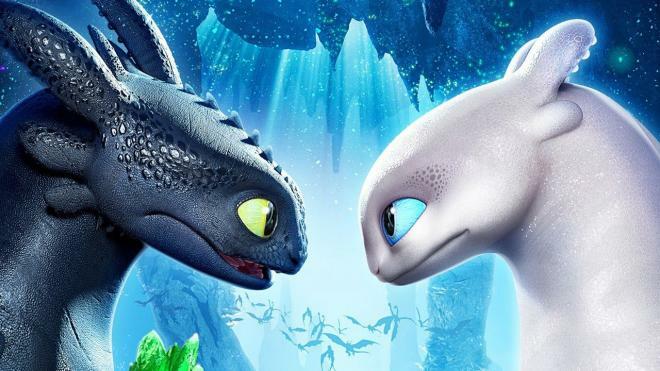 You can find the latest specs for How to Train Your Dragon: The Hidden World linked from our 4K and Blu-ray Release Schedules, where it is indexed under May 21.